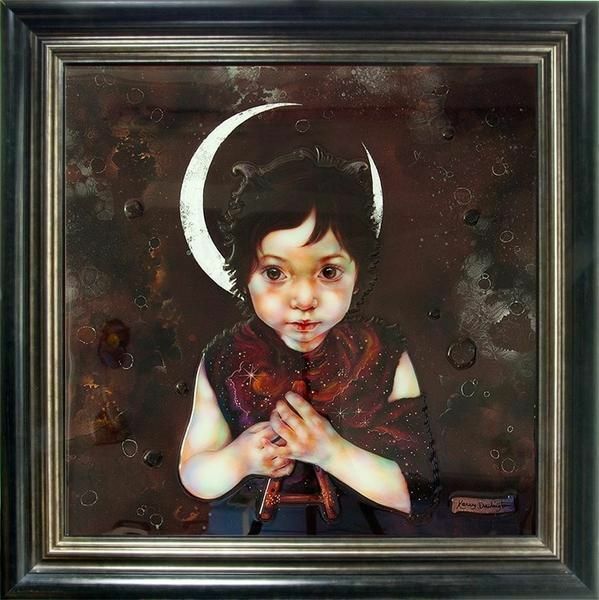 Young Pan - framed by Kerry Darlington // £795.00. Here we have Kerry Darlington's latest unique edition for February 2016 and her rendition of how a young Peter Pan may have looked. Clothed in his Lost Boys attire and set against a beautiful moonlit backdrop, his face has a very childlike appearance with a mix of porcelain white skin and rosey red cheeks! His eyes are warm and comforting and have an empathic look to them; this is more lifelike & less whimsical than previous Peter Pan releases. A stunning addition to your Darlington Collection.